On Feb. 1, the South Coast Air Quality Management District (AQMD) staff briefed its Governing Board on possible regulation of modified hydrofluoric acid (MHF) alkylation at the Torrance (ToRC) and Valero, Wilmington refineries. AQMD staff presented an analysis of MHF hazards. Their presentation showed that a test release from a golf ball size hole in a pipe was still deadly 2 miles from the release point. Local refineries have had 10 small releases in a year and a half. The claims of the refineries that they could handle large releases of HF/MHF were rejected as unfounded by current evidence. Dozens of South Bay and Harbor area community members made powerful pleas to protect the public. 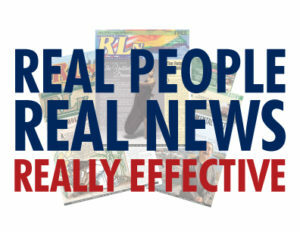 Several groups voiced public support for a ban within 4 years, including Ban Toxic MHF, Torrance Refinery Action Alliance (TRAA), Communities for a Better Environment (CBE), Environmental Defense Fund (EDF), Natural Resources Defense Council (NRDC), Sierra Club, and Del Amo Action Committee. Spokespeople for the corporations, the oil industry, the Chamber of Commerce spoke in favor of an MOU right away. Board members representing Orange and San Bernardino Counties, safely outside MHF hazard zones, told community members to look elsewhere for help, in effect saying: ‘HF-saturated air is no concern for an “air quality” regulator! That isn’t our job!’ This Board can’t eliminate every hazard in the world! Larry McCallon (San Bernardino) made a motion to forget rule making and cut the refineries a deal using an MOU. Shawn Nelson (Orange County), Janice Rutherford (San Bernardino), and Dwight Robinson (Orange County) supported McCallon’s motion. But the majority of the board could not ignore community demands to put safety first. The community call for a ban is supported by Judith Mitchell, Janice Hahn, and Joe Lyou. Dr. William Burke, the Governing Board Chairman, and Dr. Clarke Parker, the Refinery Committee Chairman spoke strongly of the MHF hazard, the need for effective action, and against McCallon’s motion. A counter motion by Dr. Burke passed, giving AQMD staff 90 days to incorporate the testimony from the Governing Board and the public, then return to the Refinery Committee before going to the Governing Board for a decision. Michael A. Cacciotti (LA, eastern region) and Ben Benoit (Riverside County) also voted for the 90-day delay, although Benoit voiced opposition to a MHF ban. This vote does not win a ban of this toxic liquid. The vote did win a delay for the community, but an MHF ban is still far from certain. Joe Buscaino (LA, Wilmington) voted for the 90-day extension. Buscaino and Mayor Garcetti have not supported community efforts to ban MHF despite their knowledge of hazardous MHF. During most of the meeting Buscaino was on his computer and “not present,” even during tearful testimony by one of his constituents. 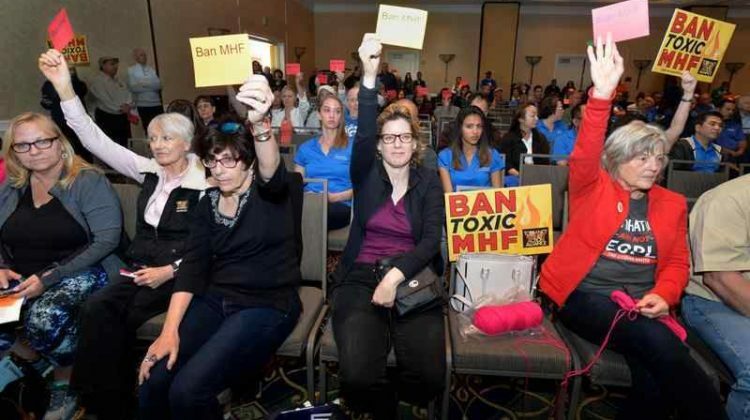 Sally Hyati, director of the environmental justice organization, Ban Toxic MHF, believes more of the public need to have their voice heard in the fight against MHF. Oil refineries have long argued that any change to the refinery process would increase costs and result in job losses. Oil refineries have also argued that changes in the refining process could raise the price of gas– a fear tactic that led many to oppose a ban. (2) a planned orderly MHF replacement would have an equal or worse effect on gas prices than the unexpected shutdown of the entire Torrance refinery for eighteen months. 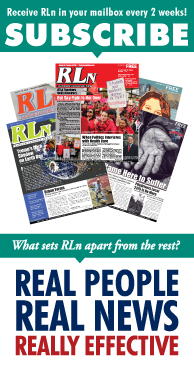 Steve Goldsmith from the Torrance Refinery Action Alliance and Sally Hyati, Scientist from “Ban Toxic MHF” contributed to this article. So you write an obviously biased article with ‘contributors’ on one side of the issue, and publish. Shame on you. You earned all two cents that this article is worth.